This is the perfect size everyday bag. 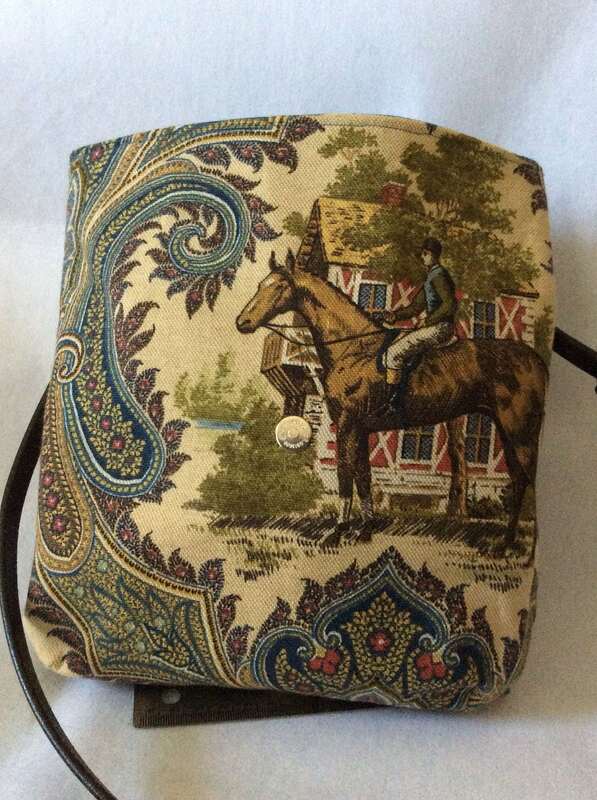 It measures 11"h x 9"w. It is made with a blue and tan paisley fabric with horse and rider. 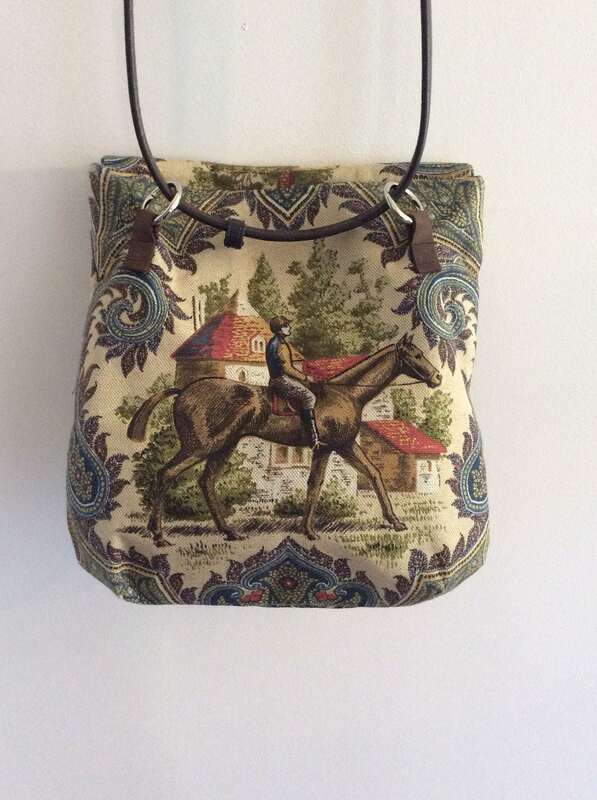 This is an out of print fabric making your bag extremely unique. I center the horse so you can have a complete image and not just pieces of a horse. The fabric is treated to be stain resistant and is an upholstery weight. 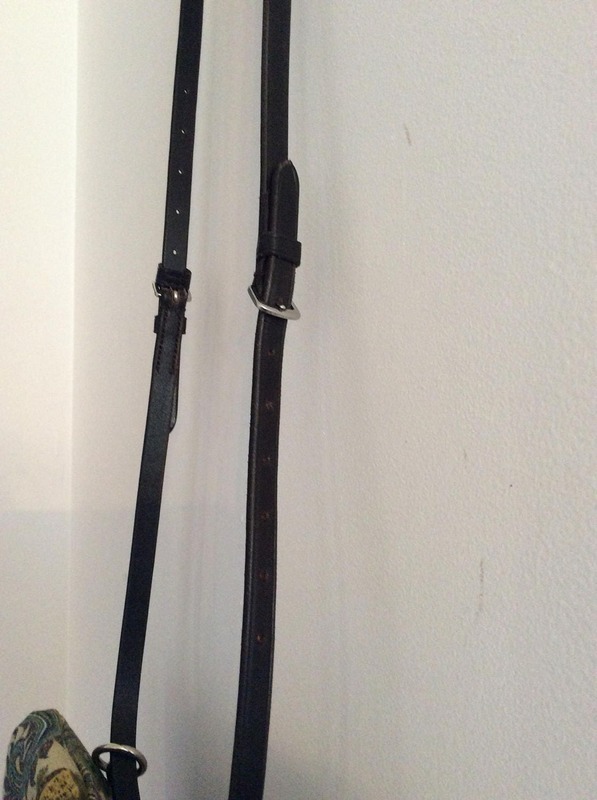 The strap, which can be worn on the shoulder or as a cross body, is made from the head stall of an English bridle and can be adjusted in length with the buckles. It is constructed with pleats on each corner to make it roomy. 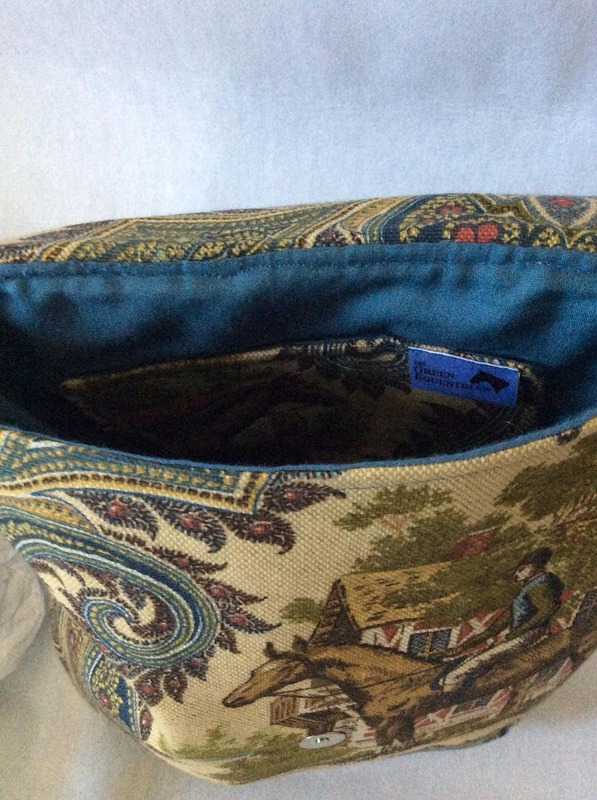 It is lined with organic blue fabric and has an inside slip pocket. 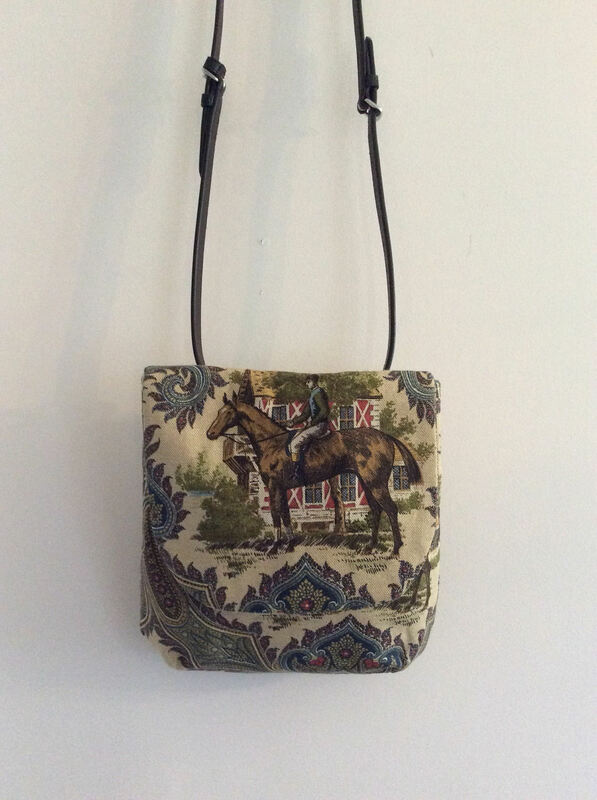 The handbag closes with a magnetic snap and I have used high quality hardware which is standard on all my bags. All bags are lined with 2 layers of interface making them keep their shape and wear.